As a result of the Islamic State’s destruction of cultural heritage in Iraq and Syria, the Association of Art Museum Directors (AAMD) published protocols that seek to resolve the varied issues surrounding this matter. As delineated within the protocols, objects in the collection of museums located in areas of conflict will be offered safe haven in museums in the United States, Mexico and Canada. During a visit to the International Council of Museums (ICOM) in Paris, a group of Johns Hopkins University students spoke with the Director of Programs and Partnerships at ICOM who stressed the importance of employing safe haven as a last resort. Rather than a heroic act meant to preserve the material culture of past civilizations, the Director of Programs and Partnerships fears that this practice could be viewed instead as a colonial approach to the protection of cultural property, in which museums exploit such safe havens to expand their ancient collections. Furthermore, she explained that because the United Nations (UN) acknowledges Syria as a government entity, members of the UN must in turn respect its laws, one of which prohibits safe haven, thus inherently challenging the validity of this practice. If objects are granted safe haven during periods of war, the Director asked, how would objects be returned to countries that fragment into multiple territories? Observing the current conflict in Syria, this question has become evermore pressing. The reasons demonstrate the intricate legal, political, and ethical issues museums face when determining the best practice to respond to Syria and Iraq’s increasing loss and destruction of tangible heritage. Moreover, the ICOM official’s reaction to the concept of safe haven highlights an anxiety concerning the reputation of Western museums, one that may be tarnished if safe haven is interpreted as a guise to accession antiquities that are near impossible to acquire through traditional commercial and legal channels. While it is understandable that museums should use safe haven solely as a last resort, could the destruction of ancient statuary at the Mosul Museum in Iraq or the demolition of the Baal Shamin temple in Palmyra—as well as numerous other sites and artifacts—be constituted as last resorts? To ICOM, the reputation of museums is understandably important; however, is the mission of museums not to protect cultural heritage? Is the core of museums not to preserve material knowledge for the education of future generations? If Western museums do not offer safe haven to these objects, where will they go? Under the guidelines put forth by AAMD, museums in countries of crisis must approach a member museum for their objects’ safekeeping. The objects in turn will be treated as a loan and, according to Julian Raby, a member of AAMD’s Task Force on Archaeological Materials and Ancient Art, and Dame Jillian Sackler, Director of the Freer Gallery of Art and Arthur M. Sackler Gallery, “access to the works, and exhibition of them will be determined by the depositor.” AAMD’s proposal might be considered colonial by some, however museums in areas of conflict must seek out AAMD museums to initiate the process of loaning their objects for safekeeping. During this negotiation process, they can work together to create a plan for the objects’ return if, after the war, Syria and Iraq are broken into multiple territories. 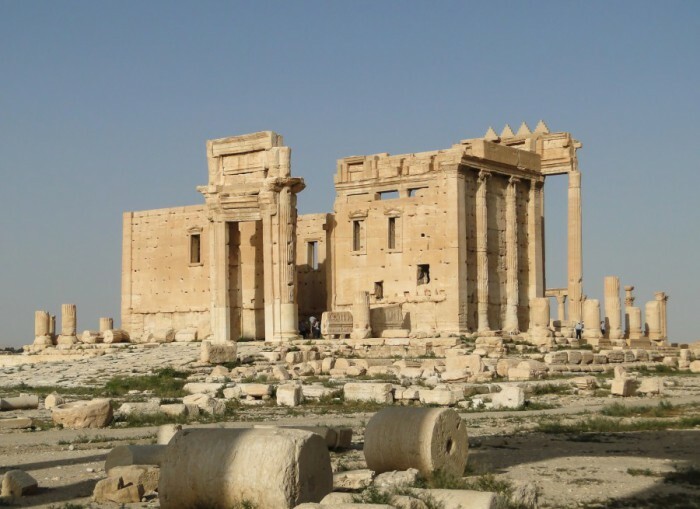 Nevertheless, it is better to risk Western museums’ reputations as being perceived “colonial” than to mourn the loss of Syrian and Iraqi cultural heritage. Conversation with the Director of Programs and Partnerships at ICOM, January 18, 2016.